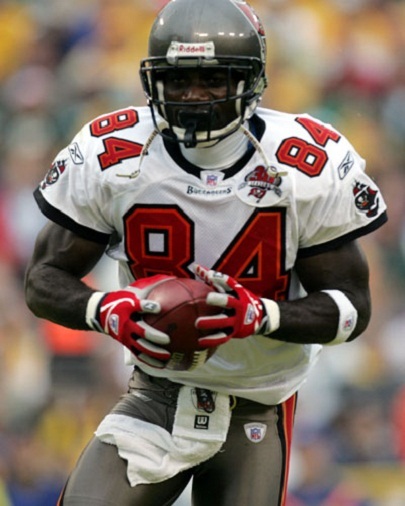 Joey Galloway has proven to be one of the rare breed of wide receivers that has enough staying power in the NFL to continue to play into their late thirties and early forties. Typically the only players in the NFL that can make it to such an advanced age by football standards are quarterbacks, kickers and punters because their physical ability does not decline as fast. Wide receivers on the other hand typically hit a wall around their mid thirties because they start to lose speed and in turn their ability to out play NFL defensive backs. He may not be lighting it up like he was in his younger days but it is quite impressive that at the age of 40 Joey Galloway somehow found a way to get get on the field and produce. During his youth Galloway played a variety of sports and by the time he got to high school he had turned into an excellent athlete which allowed him to excel at pretty much every sport he played. While in high school Galloway won state for both the 100 and 200 yard while also being voted All-Ohio in basketball. In his senior year Joey Galloway showed great promise as a wide receiver, catching 32 receptions for 608 yards and 8 touchdowns. Coming out of high school Joey Galloway was recruited heavily by many schools but he ultimately accepted a scholarship to play football at Ohio State University. At OSU Galloway emerged s one of the best receiving talents in the nation and would ultimately finish his career at the school ranked in the top five of many of the school’s receiving records. During his junior year in addition to his 47 passes for 946 yards Joey Galloway tied the school’s single season touchdown reception record with 11 touchdowns. The only other person to reach that mark in school history was potential Hall of Fame receiver Cris Carter. Galloway ended his four year career at OSU ranked fourth in both receptions and yards with 108 and 1,894 respectively. Galloway also finished second behind Cris Carter for most receiving touchdowns in school history with a total of 19 scores. After his senior season at Ohio State University everyone knew that Joey Galloway was destined for the NFL they just didn’t know where he would be selected in the draft or who would select him. Some analysts believed that Galloway was the top receiving prospect in the 1995 draft ans expected him to be selected in the top 5 while other had him as the second or third best receiving prospect in the draft and had him slated for a possible mid first round selection. Ultimately, Joey Galloway would wind up coming off the board at the eight spot in the first round to the Seattle Seahawks, four spots after fellow wide receiver Michael Westbrook and two sports before wide receiver J.J. Stokes. Joey Galloway hit the ground running with the Seahawks, posting three 1,000 yard seasons in his first four years in the league which included a 67 catch, 1,039 yard and 7 touchdown effort during his rookie year. After holding out 8 games in 1999 due to a contract dispute, a course of action that alienated many NFL fans, Galloway returned to the Seahawks but was traded to the Dallas Cowboys in for the 2000 season. After a rather disappointing 4 year stint with the Dallas Cowboys Johnson went on to play Buccaneers, Patriots and Redskins over the next 7 years.